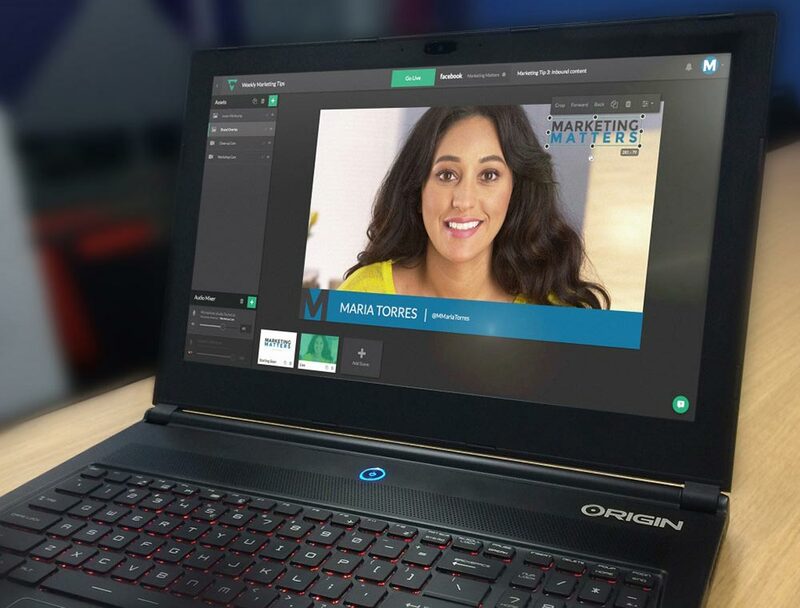 Lightstream, a new kind of video broadcast studio, is software than allows anyone to begin live streaming in minutes directly in your browser. Stream keys, bitrates, codecs. If you’re familiar with live streaming, you know why these terms make people reach for aspirin. If you’re curious about live streaming and interested in jumping in yourself, you can be thankful that you’ll never have to trouble yourself with issues related to these words. is “a beautiful, intuitive, drag-n-drop broadcast studio in your browser that makes it easy for anyone to become a streamer.” No downloads required. No technical expertise necessary. Free of charge. Set up an account and you can stream directly to platforms like Twitch, YouTube, Facebook, or Beam. Simple drag-n-drop lets you easily add assets such as webcam, art overlays and display feeds. Basically, going live is as easy as clicking a few buttons. Since Lightstream uses the cloud, multiple cameras can be streamed together from locations anywhere. This functionality, though the platform has many applications, makes Lightstream an attractive option for live conferencing. Not to name any names, but a number of solutions out there that address this space should come with warnings about potential whiplash and imminent danger for those who suffer epileptic seizures. Helping remote teams to speak via video and collaborate more smoothly is a welcome improvement. The possibilities are wide ranging. Host your own program, conduct interviews, give live demos… You may find yourself needing to establish new protocols for the gamers on your staff, but, fun aside, Lightstream is powerful tool that lets anyone stream high-quality video with little effort. If it helps you to wrap your brain around potential use, the startup likens itself to a Google Docs for live video production. With access from anywhere, you can easily edit, direct, and produce videos. “Our mission is to build innovative & powerful creative software that empowers more storytellers and grows the communities in which they tell them,” says the Lightstream website. Their blog offers a streaming handbook for anyone in need of additional support. What’s certain for all involved with live streaming is that no one wants to deal with setup hassles, production mishaps and other technical nonsense. Lightstream enables you to bypass such hurdles and focus on the content you want to broadcast. Visit golightstream to begin streaming today.